Whether you play games or use Photoshop for an example. It’s important to find the perfect mouse pad. 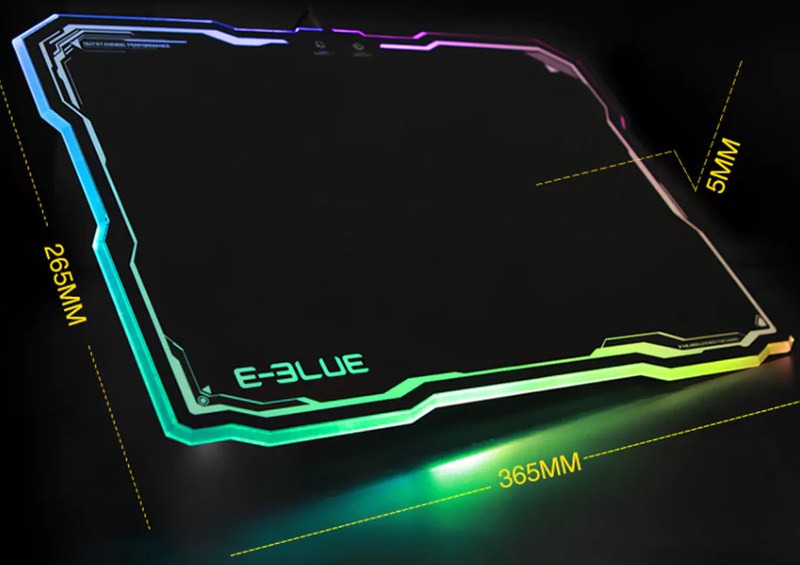 I will share some important pro’s and con’s for the 3LUE gaming RGB mouse pad. My first impressions of the 3LUE Mouse pad, was that it looks good and even better with the LED lights on. It has a soft surface design, that’s super smooth. It’s not too big or too small. It’s middle sized, which works fine for what I do. One important thing I found was that the top mouse pad didn’t have any clips or edges, so that my mouse cord wouldn’t get caught when I edit my images. The LED lights are bright, with 9 different lighting modes. If you find that the lights are too bright, you have 4 different brightness options to dimmer them if needed. A few more things you should keep in mind when buying a mouse pad is the purchase price. You can grab this for around 25 USD. Which is affordable for lots of people. This is a budget mouse pad, that looks as good as most of the other tops ones out there today. The tops ones range from $75 – $150 or sometimes even higher. Keep that in mind, when searching for one. I don’t have many cons for this item. You always get what you pay for. If I had to choose a con it would be the size. I prefer XL mouse pads while doing certain things. This ones a semi large, which works fine for what I do. But bigger is better when I use Photoshop or games.